The Washington Post and the Huffington Post publish article after article attacking Donald Trump, and google news and yahoo news link to many of these articles. The press has leveled far worse attacks on Trump than any other candidate. These attacks are more severe both in terms of numbers and degree. The coverage is also disproportionately negative towards Trump than the others, with fewer positive things said about him. The thumbs of the press are definitely trying to tip the scales against Trump in every way they can. The press is also going after Clinton and Cruz. It is now clear why the Democratic field was so poor from the start. It was the only way the jews could leave communist Bernie Sanders the last man standing after pulling the rug out from under Clinton's campaign. 'In March, 1915, the J.P. Morgan interests, the steel, shipbuilding, and powder interests, and their subsidiary organizations, got together 12 men high up in the newspaper world and employed them to select the most influential newspapers in the United States and a sufficient number of them to control generally the policy of the daily press of the United States. 'These 12 men worked the problem out by selecting 179 newspapers, and then began, by an elimination process, to retain only those necessary for the purpose of controlling the general policy of the daily press throughout the country. They found it was only necessary to purchase the control of 25 of the greatest papers. The 25 papers were agreed upon; emissaries were sent to purchase the policy, national and international, of these papers; an agreement was reached; the policy of the papers was bought, to be paid for by the month; an editor was furnished for each paper to properly supervise and edit information regarding the questions of preparedness, militarism, financial policies, and other things of national and international nature considered vital to the interests of the purchasers. 'This contract is in existence at the present time, and it accounts for the news columns of the daily press of the country being filled with all sorts of preparedness arguments and misrepresentations as to the present condition of the United States Army and Navy, and the possibility and probability of the United States being attacked by foreign foes. 'This policy also included the suppression of everything in opposition to the wishes of the interests served. The effectiveness of this scheme has been conclusively demonstrated by the character of stuff carried in the daily press throughout the country since March 1915. They have resorted to anything necessary to commercialize public sentiment and sandbag the National Congress into making extravagant and wasteful appropriations for the Army and Navy under the false pretense that it was necessary. Their stock argument is that it is 'patriotism.' They are playing on every prejudice and passion of the American people.'" --Congressional Record: Containing the Proceedings and Debates of the Second Session of the Sixty-Fourth Congress of the United States, Volume 54, Part 3, United States Government Printing Office, Washington, D. C., (27 January 1917-12 February 1917), pp. 2946-2948. The press deliberately covered up the atrocities of Trotsky, Stalin and the Bolsheviks of the Soviet Empire, aiding and abetting the genocide of tens of millions of the best genetic material of Eastern Europe. The press relentlessly attacked Sen. Joseph McCarthy and brought to an end his purge of communists from the Federal Government of the United States. The press undermined America's war against communism in Vietnam. 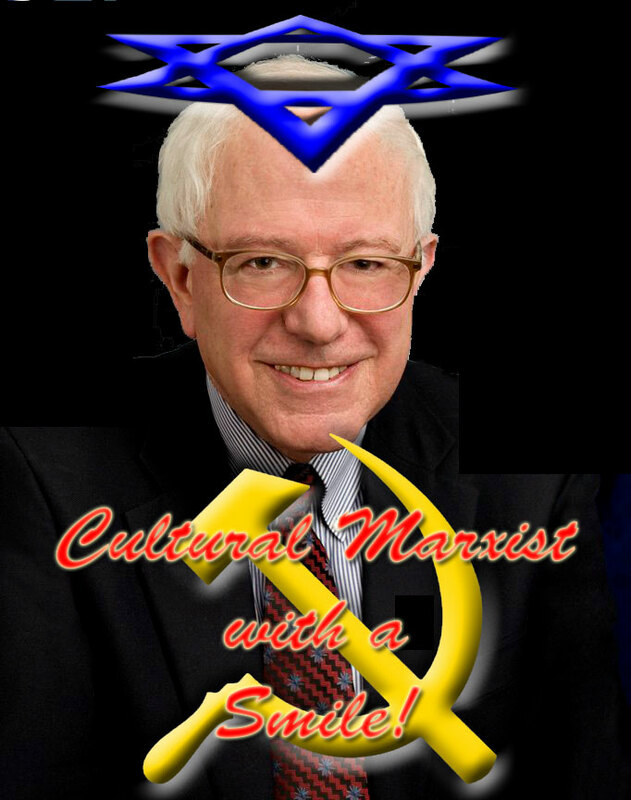 Today, the press is attacking every Presidential candidate except the jewish saint and communist Bernie Sanders. Today, the press is savaging Donald Trump. Trump has promised to fight back against communist China and work towards regime change in communist North Korea. Trump has pledged to bring to an end the communist goal of internationalizing the United States and has promised to restore our national sovereignty.